The ancient “flower of Life” has been a symbol that has drawn me closer over the years, popped back into my dreams, my life and is what I decided to name my design studio after in 2012 as I felt such a deep connection to this pattern. 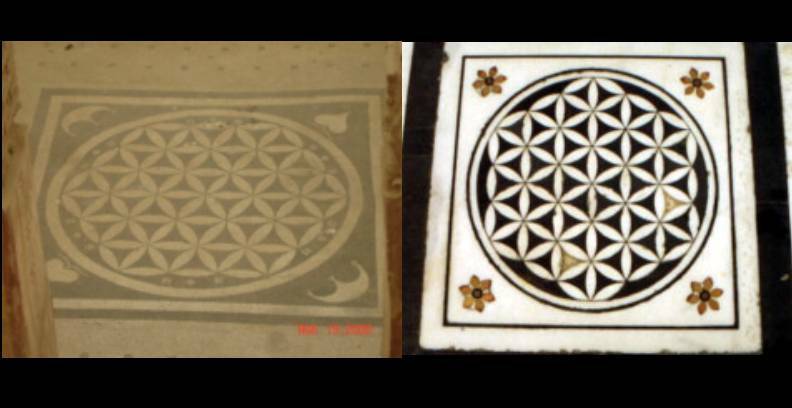 “The Flower of Life” is ‘natures first pattern’. How wonderful is that? I have always been someone who sees connections & patterns, looking for similarities rather than differences. I endeavor to tell this personal connection story though my blog, but sometimes I find it hard to put words to webpage and find it comes more easily through my artwork or photography to express what is deep within all of us. I believe we all feel a connection to “The Flower of Life”, we may just not know why. The flower of life is nature’s first pattern. It can be found all around the world, from ancient sites to modern day depictions. Based on a single circle it has been known to philosophers, architects and artists around the world. The Temple of Osiris at Abydos, Egypt contains the oldest to date example. it is “burned” in granite. Other examples can be found in Phoenician, Assyrian, Indian, Asian, Middle Eastern, and medieval art. 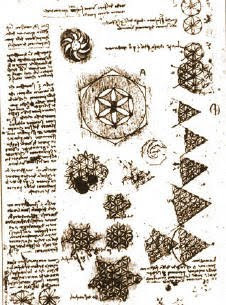 Leonardo da Vinci studied the Flower of Life’s form and its mathematical properties. 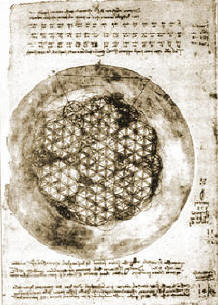 He drew the Flower of Life itself, as well as components inside. 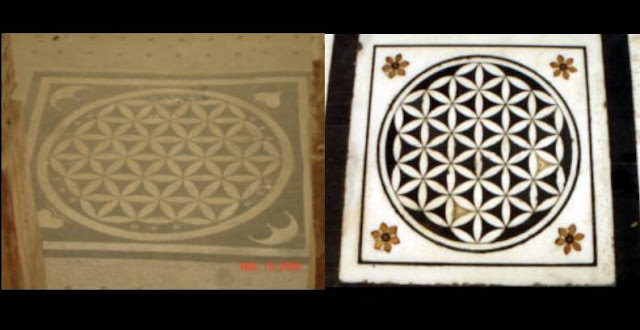 The flower of life holds a secret symbol created by drawing 13 circles out of the “Egg of Life”. By doing this, we can discover the most important and sacred pattern in the universe. This is the source of all that exists; it’s called the Fruit of Life. Ancient profit states that the flower of life is aligned with creation. Here are the circles that make up the ancient pattern up to the egg of life. and related to life itself. I also have a secret obsession with crop circles which contain alot of beautiful symbols and patterns. Here are a few I have discovered related to the Flower of Life. 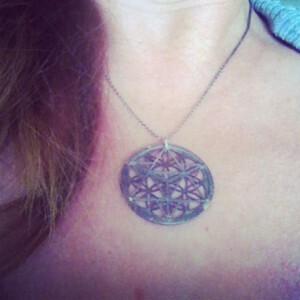 The flower of life design also contains the six platonic solids which I’ll explore on my blog also…….. I bought this gorgeous pendant from an amazing New Zealand artist July 20th 2012. It contains the flower of life design on one side and the Star tetrahedron on the other. I love it, it is my favorite. Every so often I am compelled to use these symbols and echoes of the Flower of Life in my artwork, here are just a few samples, many I am not ready to share just yet. 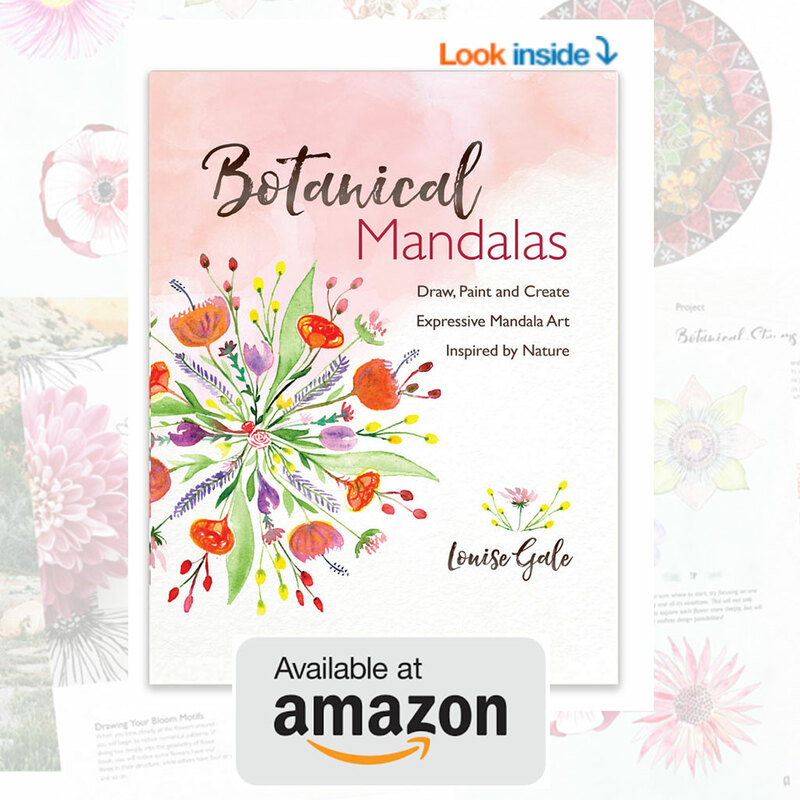 🙂 The Flower of life is the secret code to everything in nature and I hope to explore this and share beautiful images and patterns on my blog as my own explorations unfold. 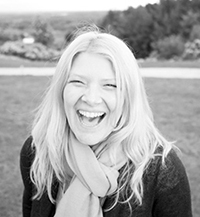 So welcome to the “Flower of Life Studio” – my creative home. The ‘Flower of Life’ holds so much knowledge and connectivity to life and the universe. I do believe there is a HUGE shift happening in our world, whether its this year or in a few years, it is time to really flow in the the way the heart is intuitively showing us. To open the door and walk through.